According to information provided by Chilean foreign department, several studies state that there has recently being an incredible, sustainable growth in immigration to Chile. The main reasons that explain this growth are mainly related to its strong and clear immigration policy, economic growth and political stability, along with several factors that explain why expats choose Chile. Since 1990, Chile has experimented an increment in the quantity of investors and migrants alike. This coincides with new political measures guaranteeing independent public organisms, with clear goals and attributions. Chilean constitution guarantees that the state will “promote all the initiatives that contribute to the individual spiritual and material well-being”, and therefore its political institutions must serve the citizen to achieve that goal. 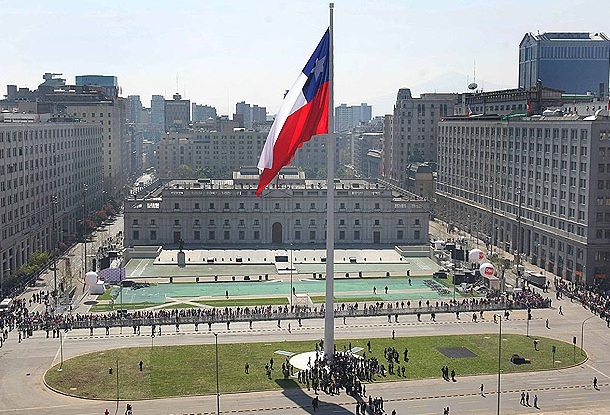 That can only be achieve with clear procedures and hierarchical controlling mechanisms that safeguard those institution, a structure that Chile has already developed and its reflected in Chilean foreign department, Ministry of foreign affairs, CORFO and many other organizations that create incentive programs for foreign investments. Currently Chile has the highest GDP among all the South American countries, providing a healthy present with a promising future. It’s no surprise that Chile stand out from its neighbors, since – unlike the other LATAM countries- it has found a way to perpetuate an increasing economy in time. This achievement has it foundations in the mining industry, agriculture and recently in tourism related services. Yet, the irruption of companies related to innovation and technology in the recent years, help to renew this industries, promising to eventually outgrow them. As an example, one of the biggest solar plants in the world is being built in Chile. At the same time, companies are starting to mine Lithium (key component for batteries), of which, Chile has the 54% of the world’s resource. This scenario represents an opportunity for foreign investment, since most of the technology required to complement this industries is being imported from abroad. The boom of immigration to Chile has not been ignored by the state, which has implemented a whole new set of institutions and organizations to face the growing number of immigrants. All of this procedures and its requirements are established by law or administrative norms, which end up granting permits or visa. Our team highly recommends applicants to be informed about this procedures, we provide all the required services in order to have a successful experience. There’s no denying that economic growth goes along with job opportunities. An increasing economy requires human resources apt to satisfy the demand. Obviously, Chile has the lowest unemployment rate of the region with 6.2 % (trimester of November, December, and January of 2017 according to Chilean National Statistical Institute). It also has been proven that higher education brings higher salaries, and once again Chile stands alone as the country with better education in the region. Reaching the first place in language, science, and math according to 2016 PISA test (Programme for International Student Assessment), a huge fact to comprehend the boom of immigration to Chile. 5) Safety, a priceless factor. Even though we have stated Chile as the regional leader in different areas, the country ranks even higher when we talk about safety. The Economist, ranked Chile in the 28th position in personal, health, digital and infrastructure safety. In particular, Santiago numbers, compare to world famous cities such as Tokyo, Osaka and Singapore. Moreover, according to the “Global peace index” – which ranks 153 countries regarding national and international conflicts- Chile is in the 38th position. Finally, according to the UNO, Chiles has largely the lowest homicide rate in the region of 3,1 for every 100.000 people. Article written by Julián Dittus Cabrera, attorney from Vivir en Chile. Planning on entering the Chilean market? Ask for a free quotation here. Know about our services for both COMPANIES and PEOPLE. Vivir en Chile is part of SERVICIOS INTERNACIONALES SpA. In no case represents or is related to the State of Chile, or any of it's public institutions. All information contained in this website is of general nature, requiring subsequent legal advice for it's application to each specific case. All information contained on the website is merely informative and does not constitute legal advice.